Making your own Christmas cards for family and friends is surprisingly easy and fun. You can make your own personalized cards using just a few basic supplies from the craft store and some simple tools from home. A lot of handmade cards require a special cutting machine, but you only need a pair of scissors and the included template for this Christmas card tutorial. 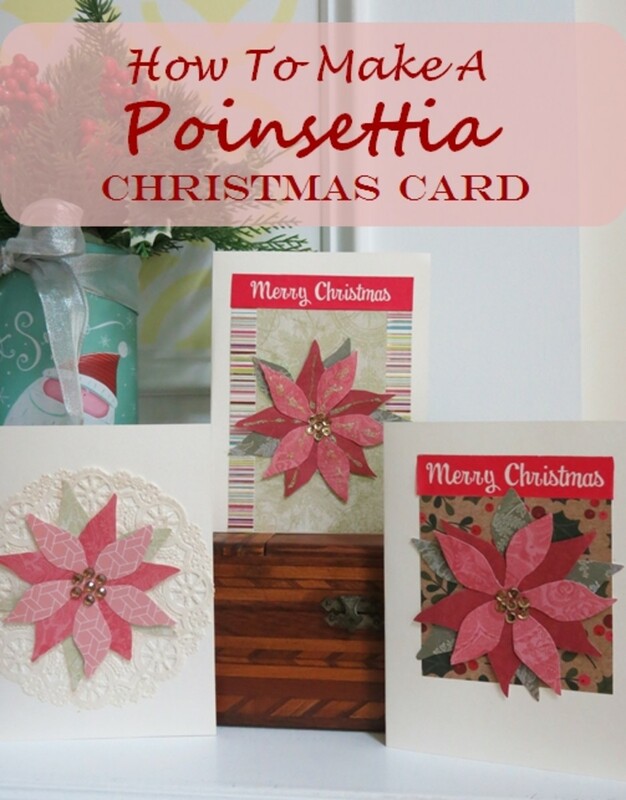 This cheery poinsettia design can also be used to make gift tags or hanging tree decorations. Blank card and envelope (if needed) - available at most craft or stationary stores. See more details below. 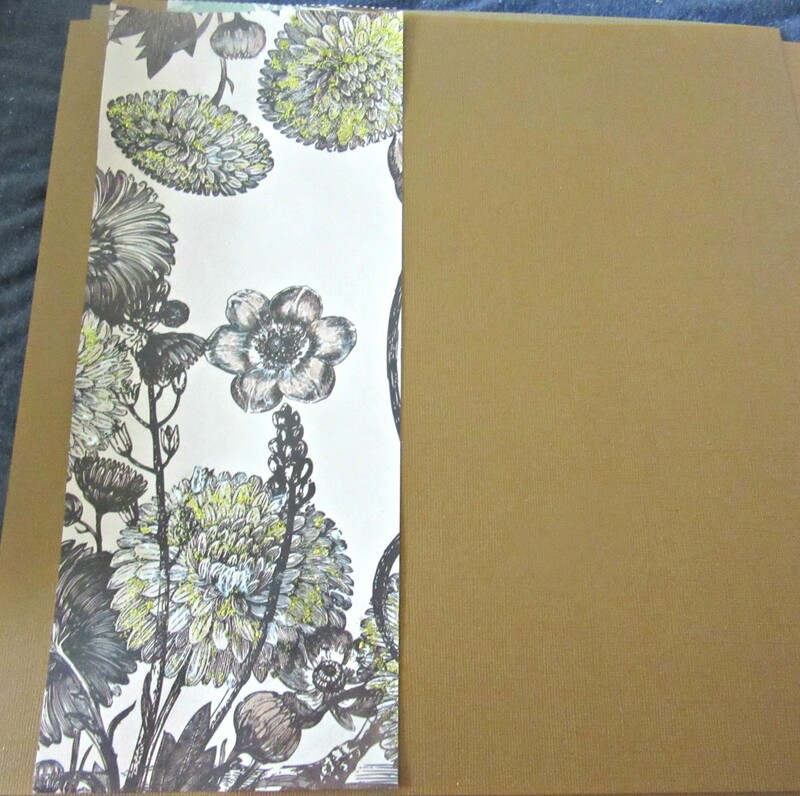 Selection of scrapbook paper or gift wrap - there is a huge selection of scrapbook paper available at craft stores. For Christmas projects, you can also use pieces of holiday gift wrap. Heavier weight gift wrap with smaller designs would be best for making cards. A choice of washi tape, glitter glue, sequin, and/or adhesive gems to decorate your card - these are also available at craft stores. You can embellish these cards in a number of ways to make each one special. Double-sided foam tape or dots (optional) to add dimension to your poinsettia - available in the scrapbook section at most craft stores. Blank cards are available in a package, with or without envelopes, at craft or stationary stores. They come in a variety or colors and sizes. 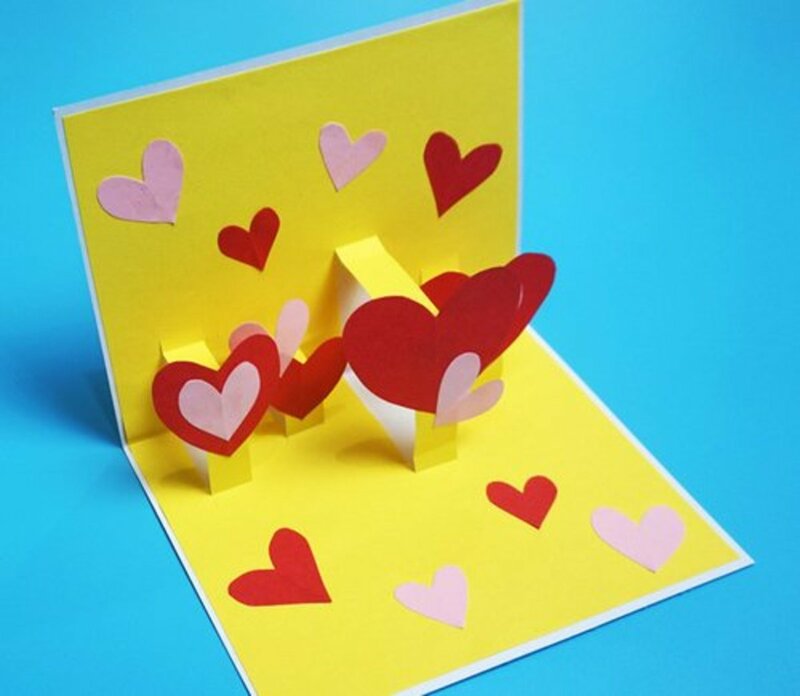 You can also make your own card blanks using colored paper, but if you are sending your cards through the mail, it is worth buying the pre-made blank cards with envelopes. When choosing your blank cards, you might want to select a size that is similar to the size of the Christmas cards that you see in stores. 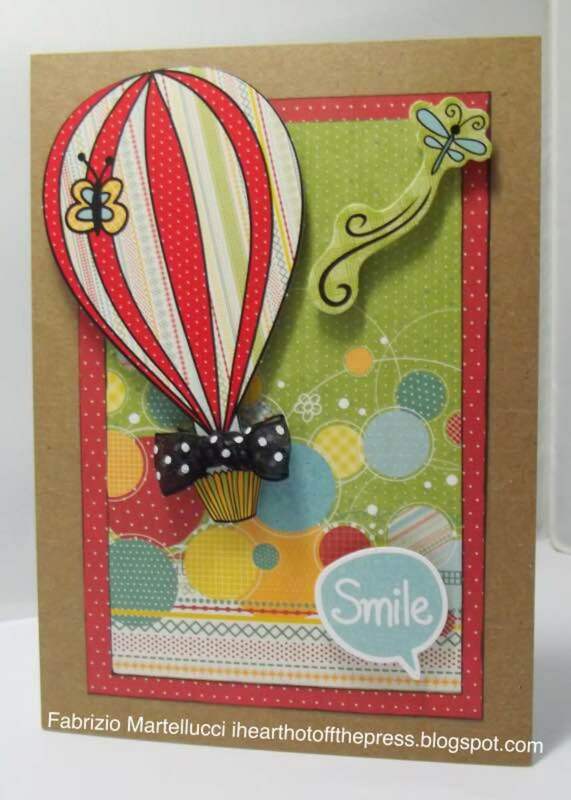 This medium size with give you enough area to design and decorate your handmade cards. There are a number of ways to add a greeting to the inside of your handmade card. 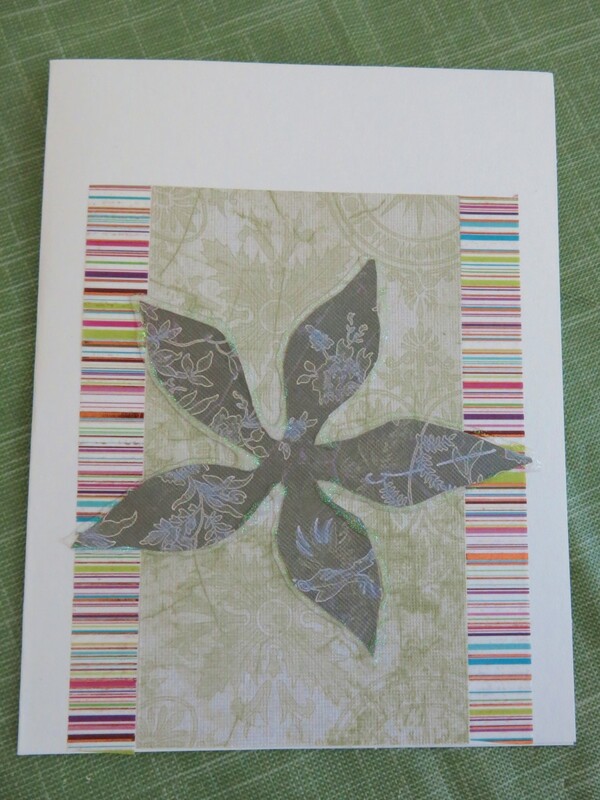 Your greeting can be added before or after decorating your card, but I find it easier to add it before. Stamping your greeting - there is a great selection of holiday stamps at craft stores. Recycling old cards by cutting out the greeting and pasting it inside your card. You can hide the edges with a border of decorative washi tape. I chose to print out my own greetings. I looked at some old Christmas cards to get ideas for a greeting, then printed the greetings out on some resume paper, four to a page. I cut them out and trimmed them to fit in my card, using glue stick to paste them inside. 1. 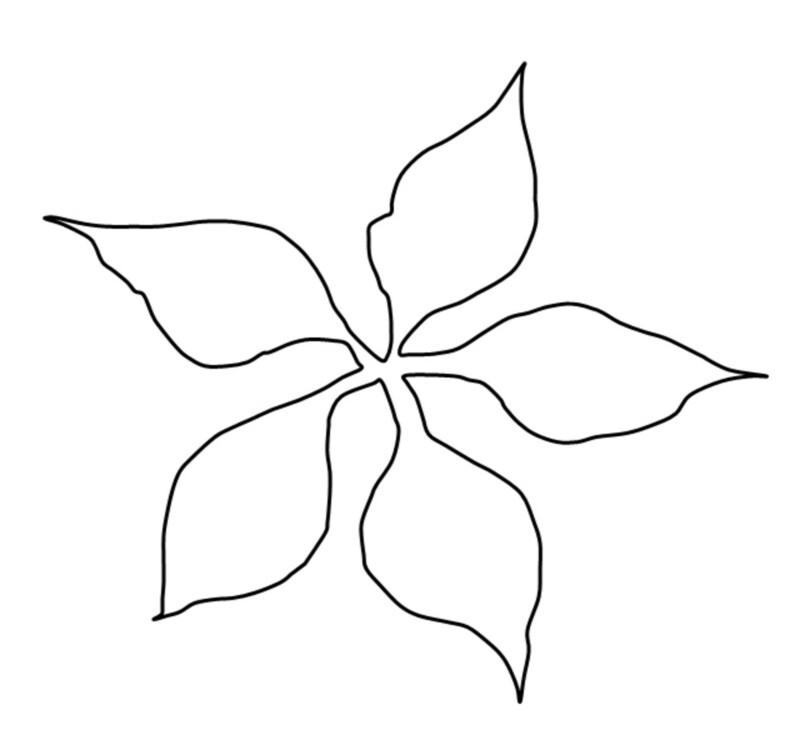 Print out the poinsettia template above in three different sizes. One print out will be the larger bottom leaves of your poinsettia, the other two print outs will create the two layers of petals for your flower. 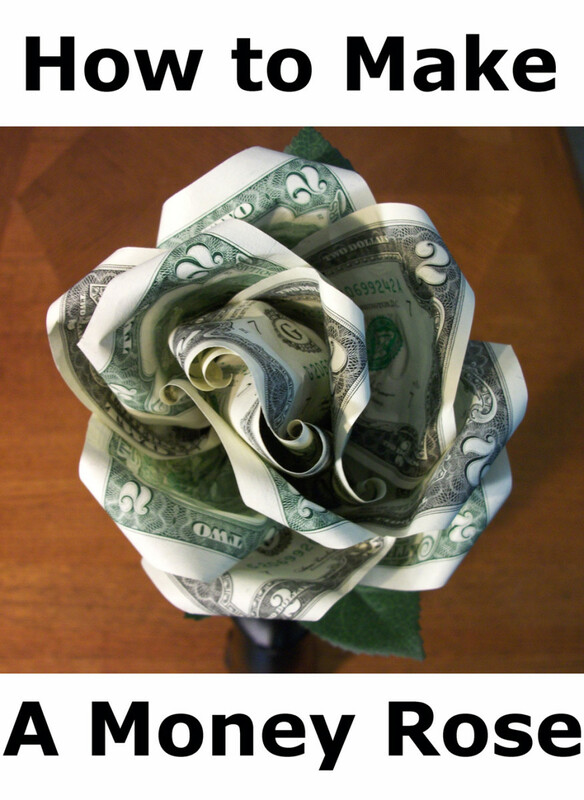 The size of your flower will depend on the size of your blank card. My cards were 5 inches by 6 1/2 inches. For my poinsettia, I printed out my largest leaves to be about 4 inches across. My bottom petals were about 3 3/4 inches across and my top petals were about 3 1/2 inches across. 2. Trace your bottom leave template onto some green paper or whatever color you choose, then cut them out. Be sure to keep the center of your leaves intact. 3. Trace your two petal templates onto red, pink, or white paper. 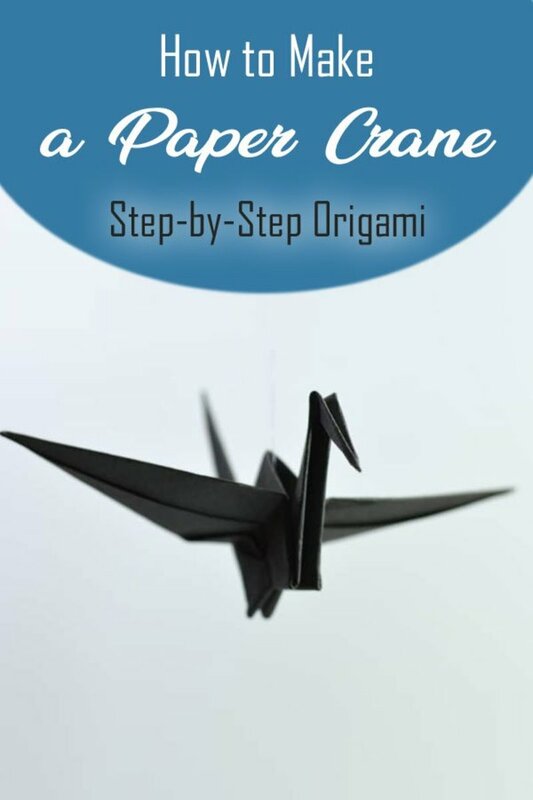 You can use the same paper for both layers of petals or different paper. 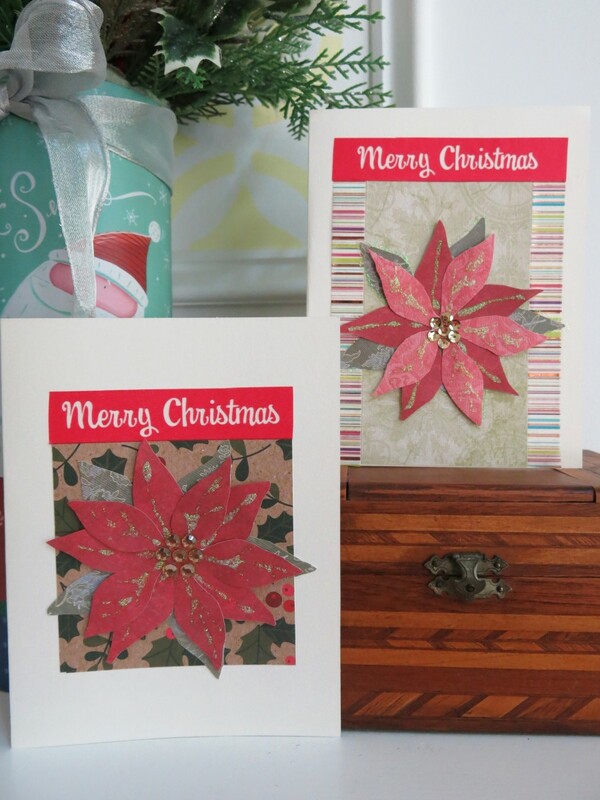 You can look at the top photo of this tutorial for different ideas for your poinsettia's colors. 4. Cut these petal layers out, keeping the center intact. 5. (Optional) You can decorate the petals of your poinsettia by drawing some spine lines on with glitter glue. I used iridescent glitter glue to draw a simple line on the lower layer of my petals. Then I used the same glitter glue to draw more spine lines on the top layer of my leaves. I let the glitter glue dry completely before adhering these petals to my card. 6. While my petals dried, I began to decorate the background of my card. There are a number of ways to create a simple background. 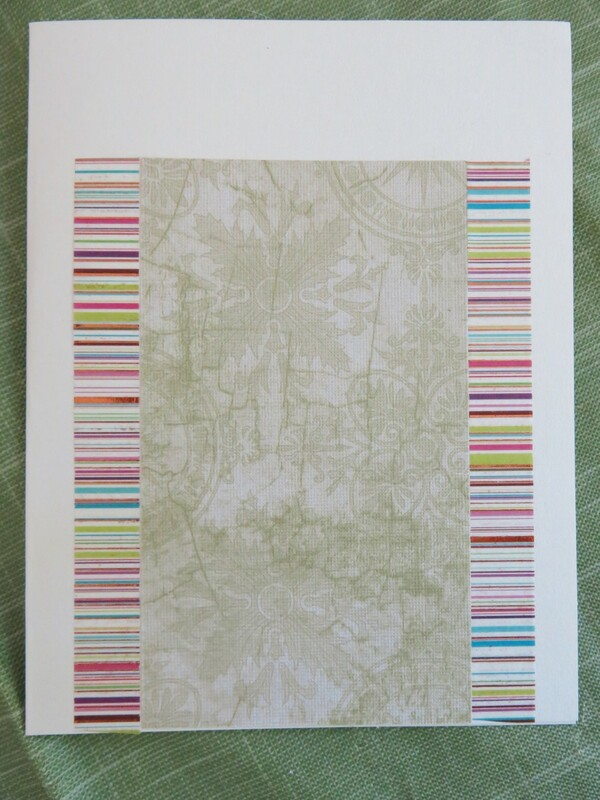 I glued down a piece of pale green scrapbook paper using glue stick. I cut this paper to be 3 inches wide and 5 inches tall, but this will depend on the size of your card. I wanted my flower leaves to overlap the sides of my background. 7. (Optional) Then I added some striped washi tape to the sides of my background paper. If you don't have washi tape, you can add a line of glitter glue as a border around your background. 8. Then I glued down my leave layer of my poinsettia. 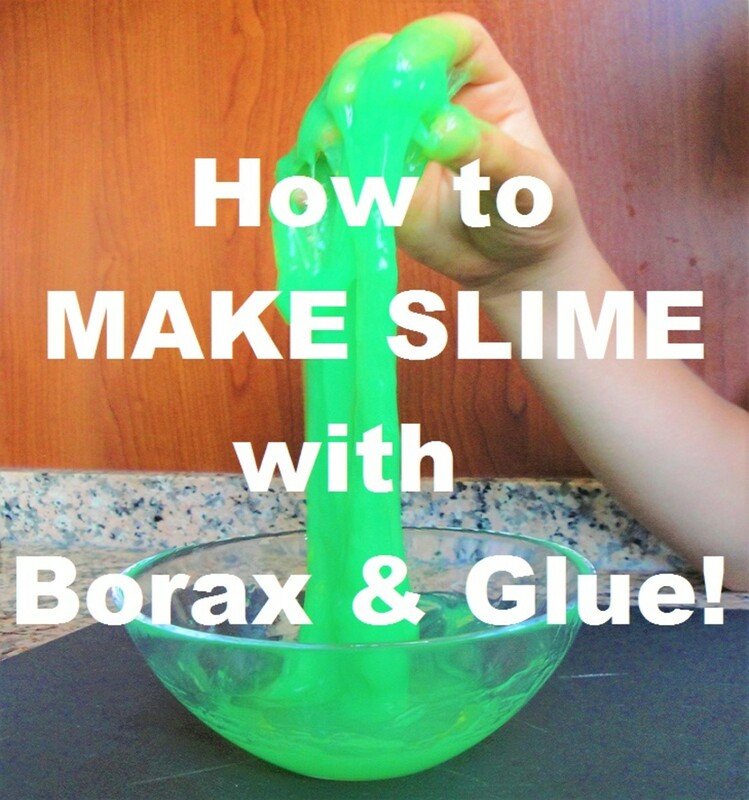 I positioned this in the center of my background and used glue stick to adhere it. 9. (Optional) Next I outlined my leaves with glitter glue and let it dry. 10. 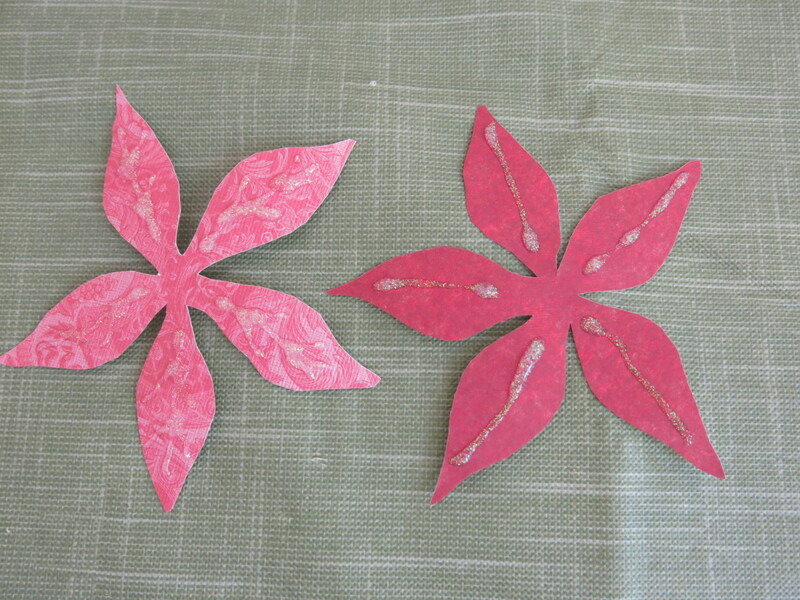 (Optional) When my glitter glue was dry, I cut small pieces of double-sided foam tape and placed a piece on the underside of each of the points of my poinsettia petals. This will create some depth to the petals of your poinsettia. Be careful adding too much dimension to your flower if you are sending it in the mail. It will need to fit easily into the envelope for mailing. 11. I put a healthy amount of glue stick just in the center of the underside of my bottom layer of petals, then placed it over the leave layer on my card, positioning the petals so they were in between my green leaves. I pushed down where the foam tape was placed on the tips of my petals to make sure they stuck. 12. I repeated Step 11 with the top layer of petals, again making sure that my foam tape stuck in place. It's fine if your leaves or petals overlap a bit. 13. I used some gold sequin placed in a circle to create the center of my poinsettia. You could also used paper dots, beads, or plastic gems for the center. 14. I finished my card by adding a "Merry Christmas" greeting to the top. This greeting is just a strip of washi tape. 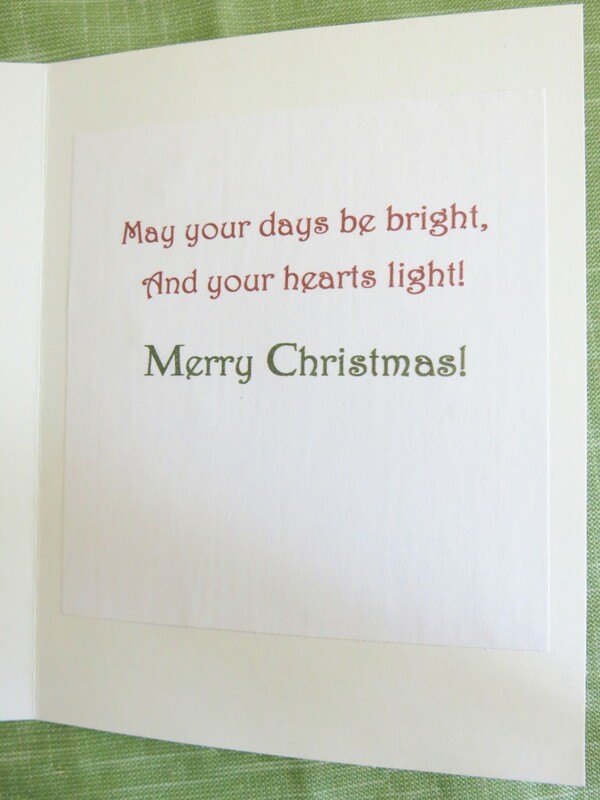 You could also hand write a greeting or use a holiday stamp. 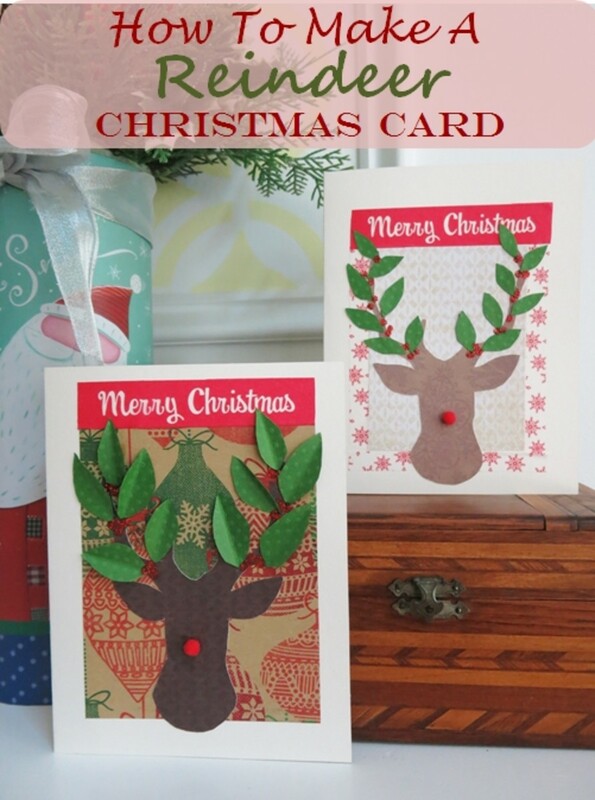 There are a variety of materials you can use to decorate your handmade Christmas card. 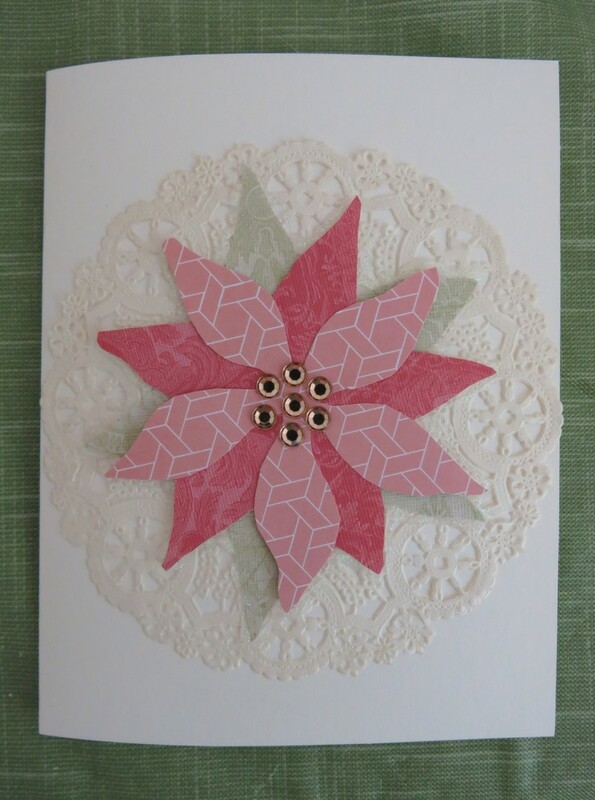 I wanted to show you another poinsettia card I made using a paper doily for the background. 1. Carefully spread glue stick on the back of a small doily. The doily can tear easily so spread the glue in small areas, working from the center out to the edges. 2. 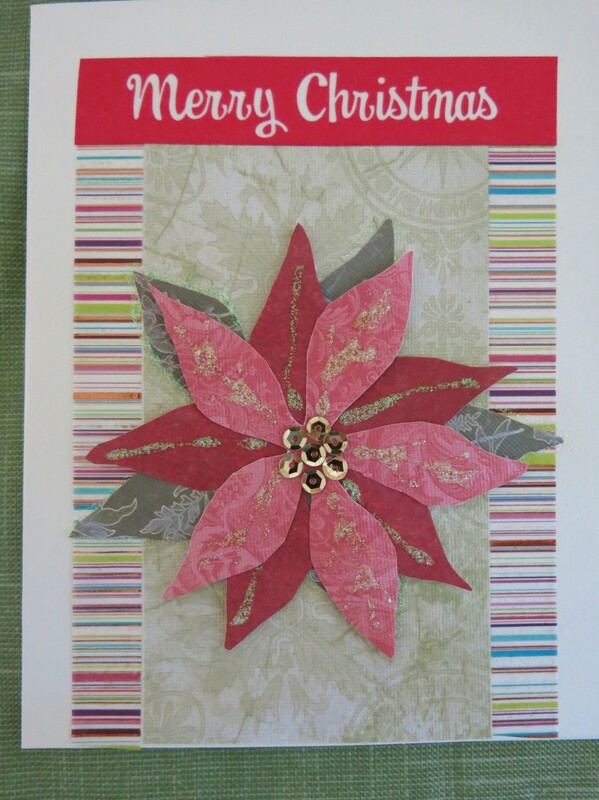 Then I built my poinsettia design the same way as above, but used a softer selection of colors to create a paler flower. 3. Rather than add details to my individual petals, I outlined the outer edge of the entire flower in glitter glue. 4. Then I used self-adhesive gems to make the center of my flower. I hope you try making your own Christmas cards this holiday season! Hi Pat - Thanks so much for your kind comments! I'm glad you find the template useful. 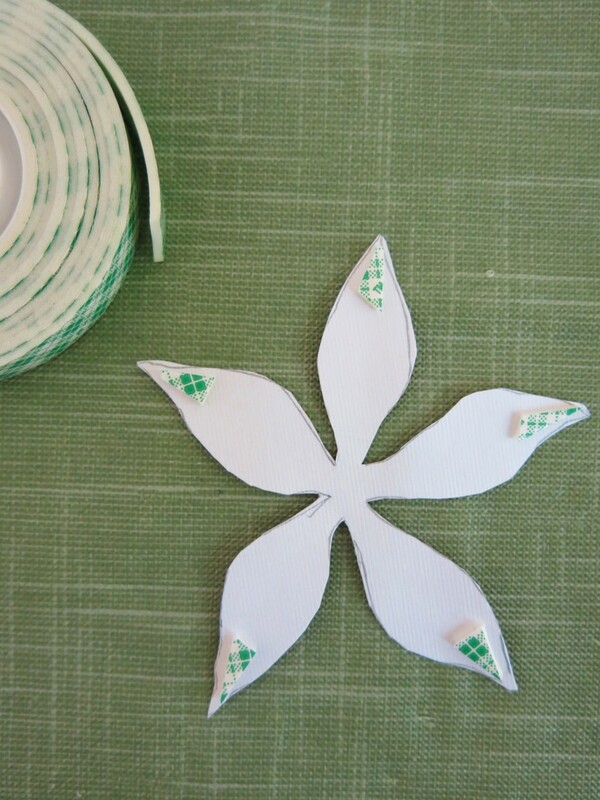 You could also use the same pattern to make a spring flower for other holidays using different colors and details. I hope you and your family enjoy making your holiday decorations. Thanks for reading and commenting! Your template is so realistic, and has become my granddaughters 'goto' for Christmas (which we are starting to prepare for). Just using the flower makes a great gift decoration instead of a bow and/or adding it to a plain tag will spruce the package up too. 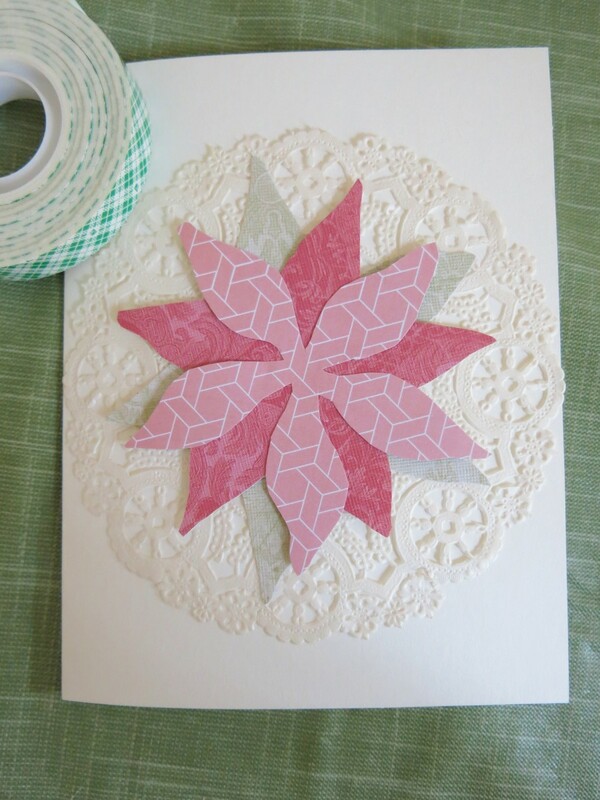 I love the doily behind the flower for cards and plan to make a few of these! Thank you! Thanks, Heidi! I'd love to invest in a cutting machine, but you can make a lot of fun things without one. Thanks for your comments and support. Thanks! So glad you like these cards! 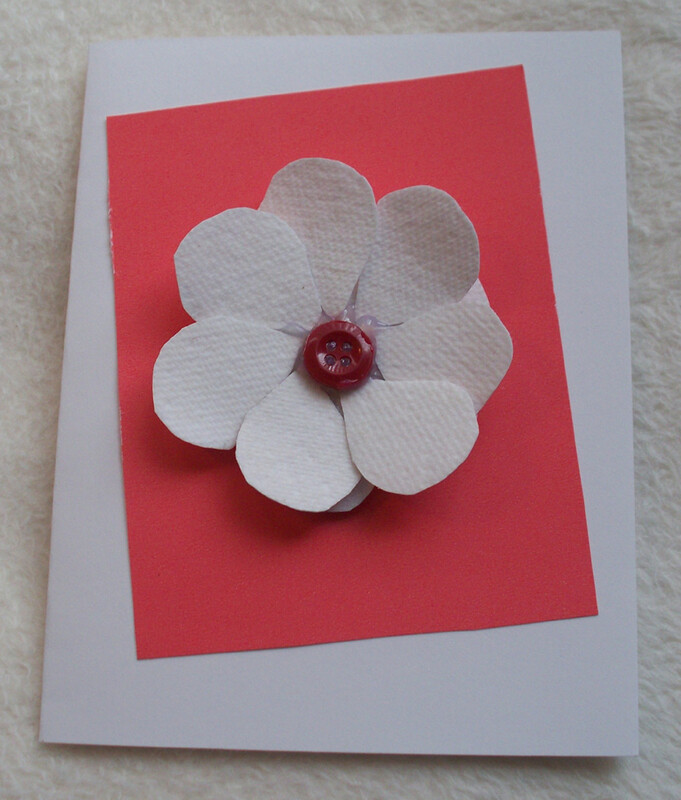 And yes, this flower design could be used to create cards for a variety of occasions. Thanks for reading and commenting! Definitely like the "no special equipment" aspect! I look at so many amazing projects and then realize I'd have to spend a whole lot of money just on the tools. Hope you're enjoying the last bit of summer. Thanks for sharing your creativity with us, as always. Have a great weekend! Home made cards are always a special gift in themselves. Your poinsettia cards are delightful, and versatile, obviously. Thanks for sharing your method and including the template. Thanks, Claudia! I'm getting an early start to make all my holiday cards this year. I have a few designs planned. Thanks so much for your comment! Very pretty Donna! I love the different shades of red and always appreciate a homemade card!